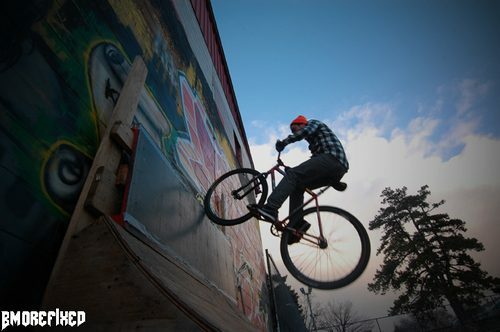 Keith from Bmore Fixed has a few photos up on the blog from today’s sesh at their local park. Looks like a great spot to ride. Flat rails, quarters, banks. Not bad. Where the hell is it? I’ve never seen that in Baltimore when I’ve gone. Anyway, check out the rest of the photos here.